Jul 01, 2010 in "Summer Nightastic! Fireworks Spectacular"
The Summer Nightastic! 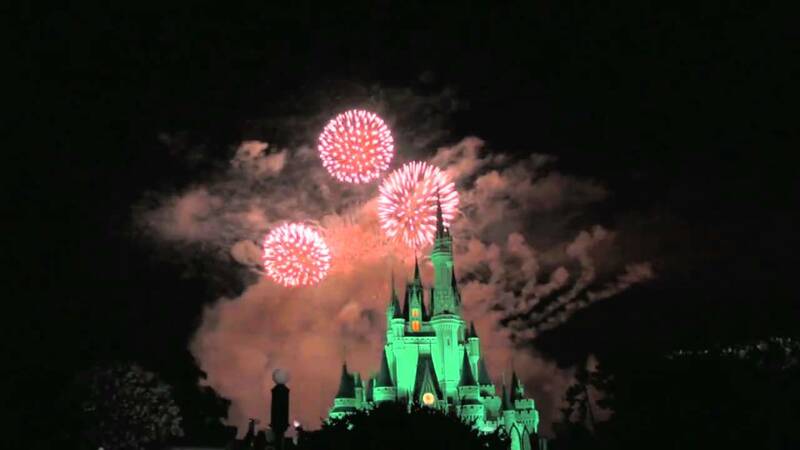 Fireworks Spectacular is the very first nightly Disney firework show to feature perimeter fireworks as well as the normal launch locations on and behind Cinderella Castle. From inside the park the perimeters wrap around you creating an amazing sight, and a view from Main Street USA should definitely be your first place to view the show from. But how about a look at the show from a bit further back? These photos were taken from the Grand Floridian Resort and show an equally impressive look at the show from a little further away. You really get a feel for the size and scale of the show back here and the added width that those 9 perimeter launch locations give. As always, click on the thumbnail for a bigger version of the photos.